Another month has passed us by, which means it is time for another installment of the expected dividend increases series. Prior to delving into the dividend increases that I anticipate for the DGI portfolio for the month of September, I'll start by recapping the dividend increase(s) from August, and their impact on my dividend income. For the month of August, I only received one dividend increase. Although it's nice to get multiple raises in a month, a raise is a raise and I'll take it. Especially when the only raise you receive is a double digit increase! Altria Group (MO) raised its quarterly dividend from $0.70/share to $0.80/share, amounting to a 14.3% raise for shareholders. This raise added $1.20 to my forward annual dividend income. As I alluded to in last month's expected dividend increases article, Altria is a company that absolutely creates value by returning its gobs of cash to shareholders. They recognize that their investors are dependent upon them as a source of their income, and they don't disappoint. This company has raised its dividend every year, without fail for the past 49 years. For perspective, Altria (and its predecessor, Philip Morris Companies) raised its dividend through the highly uncertain and litigious 1990s for tobacco companies, through the Great Recession, the Vietnam War, the tech bubble, and despite the smoking prevalence in the US declining from 42% of adults in the early 1960s to 14% currently, the company has been able to achieve this due to the highly addictive and inelastic nature of cigarettes. Fortunately, the company is diversifying into the smokeless segment to combat this shift from cigarettes to e-cigarettes. The company also owns a wine business, Ste. Michelle Wine Estates, and a roughly 9.6% stake in AB Inbev (BUD). Management has been very diligent with managing its dividend over the years as it maintains a target payout ratio of roughly 80%, while using the other 20% of adjusted diluted earnings per share to pay down debt, engage in share buybacks, and to fund its transition away from traditional cigarettes. This attitude of returning cash to shareholders was on display again as the company's annual dividend amounts was raised to $3.20/share against latest 2018 earnings guidance of $3.94 to $4.03/share. As we get further into the year, dividend increases are clearly becoming sparse. I've found that the vast majority of dividend increases come in the last month of the year, as well as the first couple months of the following year. With that said, I don't expect many dividend increases in September. Realty Income (O) last announced a 0.2% dividend increase this past June. If O follows its trend of raising its dividend every quarter, we should be set for a dividend raise sometime in September. Given that O raises its dividend every quarter, the increase will be smaller than what investors receive from companies that raise their dividend once a year. Having said that, I believe that the raise will be somewhere in the ballpark of 0.3%, increasing the annual dividend from $2.64 to $2.648. The total impact of this dividend raise on my 4 shares of the company would amount to just over $.03 a year. While these dividend increases seem minuscule, one has to keep in mind that the largest dividend increases from O generally come at the beginning of the year to the tune of around 3-4%. Like O, WP Carey (WPC) typically increases its dividend every quarter by a small amount. For the past two years, they have increase their dividend by 0.5% each quarter. I expect this trend to continue into this September. 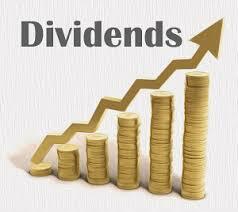 The quarterly dividend should be increased from $1.02/share to $1.025/share. This would increase the annual dividend income that my 3 shares produce from $12.24 to $12.30, for an increase in annual dividend income of $0.06. Although I am only expecting two small dividend increases this month that will increase annual dividend income by $0.09, the alternate situation of never starting dividend growth investing is much worse. Who could say no to getting raises simply for acquiring shares in a company and holding them as long as the fundamentals of the company remain intact or improve? It's absolutely, without a doubt the most passive source of income out there, and the dividend raises are the gift that keeps on giving. How many dividend raises are you expecting for September? What impact will the projected increase have on your dividend income going forward? Thanks for sharing, Kody! Congrats on the dividend raise from Altria. It's great that they understand what shareholders want and are able to return value. I received 2 dividend raises in August and expect 1 more in September. I haven't done the math to see how much it will increase yet, but any extra dollars helps with growing the dividend income. Have a great week! That's absolutely right, RTC! Every dividend raise adds up. You had another great month by the looks of it. Though our dividend income is fairly small now, what I like most about DGI is you know where your income is versus where you need it to be. It's very easy to measure progress with this strategy as you can line up income versus expenses.